The collective depth, breadth and experience of our team sets us apart in the marketplace. After all, we’ve been building homes for area families for 55 years! Designing and constructing a custom home or large renovation project is a complex undertaking. Our experience and dedication allows us to simplify the process. To know that you have entrusted a firm like Timberlake Design/Build – and its capable and enthusiastic team – with the task of building your dream home will provide you with peace-of-mind throughout the entire process. Our reputation for building quality comes from the hands-on attention to detail we bring to the job every day. Every member of our team is committed to open communication to ensure that your needs are met. 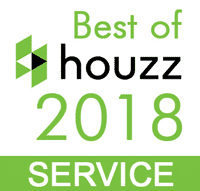 It’s this passion for doing our best that has enabled us to build long lasting relationships with clients and earn numerous referrals from our happy homeowners. Like you, we have exceptionally high standards and expectations. The end result? Whether you are interacting with someone in sales, construction, management or administration, you can count on the highest level of proficiency and outstanding customer service. Meet some of the members of our team below and learn a little about each – professionally and personally. As President, Dave oversees and directs the overall operations of Timberlake’s Renovations division. He joined the Timberlake team in 2003 after a successful, 15-year legal career. Dave, his wife and his three children (two girls and a boy) currently live in a Timberlake House they constructed in Ashton, Maryland. He is the 2016 President of the Building Industry Association. 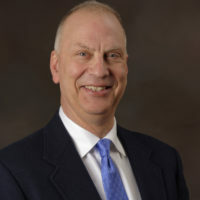 In addition to those duties, he also serves on the Board of Directors of the Maryland State Building Association and is the 2013 President of the Association. Dave is also a member of the Annapolis Rotary Club. When Dave has free time, he enjoys spending it with his family and running, golfing, and watching Boston Red Sox and Maryland football games. 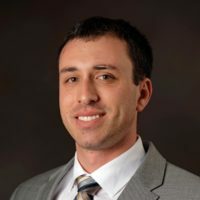 Jason is a Graduate of the Perdue School of Business and began his career as an Assistant Site Manager in 2007 while still in College. In 2009, Jason joined Timberlake Homes full time as the Site Manager for all of the Prince George’s County jobsites. After 6 years of being in the field managing the day to day construction of homes, Jason became the Vice President of Construction. 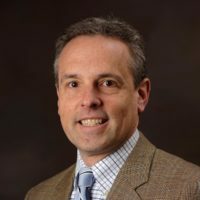 His responsibilities include overseeing all phases of construction for the production department in both Maryland and Delaware as well as the Design Build team. Jason is involved in monitoring construction budgets, ensuring all houses are built with in our 14 week build schedule, and delivered for settlement on time. Greg joined Timberlake Homes in 2001 as Director of Land Development and then became Vice President of Operations. Greg is responsible for community development and construction from purchase to exit of the community and includes all aspects of house construction. 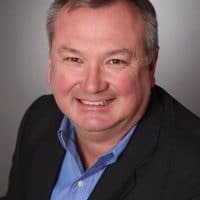 Prior to joining Timberlake Homes, Greg spent 16 years in the land development planning and engineering community at various engineering companies working in various jurisdictions. With a strong foundation in planning, engineering and project management, this has allowed Greg to successfully transition into the development and building operations of Timberlake Homes. Scott is the newest member of the team serving as Director of Design/Build operations! Over the course of his varied career, Scott has been involved in product design, sales, strategic planning, and operational support for a variety of firms and is excited to use his general contracting knowledge and experience to provide clients with an exceptional level of service. Scott is passionate about understanding the customer’s wants and needs to find the best solution Timberlake Design/Build can offer in constructing their new home or renovation project. Outside of the office he’s very active in the community having run for the U.S. House of Representatives Congressional seat in 2006, as an active leader in the Boy Scouts of America, as a mentor/coach for the FIRST LEGO League Robotics, as a STEM mentor and sailing coach. He lives in Annapolis, MD with his wife and son. He is also an avid adventurer and sailor. 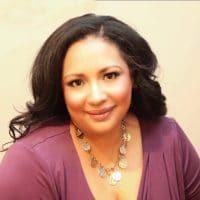 Tameiko Prentice is a highly esteemed and accomplished real estate professional in the areas of new home sales, general brokerage, and renovations. Tameiko values the relationships she builds with each and every client through the home design and purchase process and brings a wealth of knowledge and a fresh perspective to the Timberlake Design/Build team. Throughout her career in the real estate industry, Tameiko has received numerous accolades from national builders such as Richmond American Homes and Lennar Homes which have developed her keen eye for design and home construction knowledge. Tameiko takes the time to learn and understand her client’s wants and needs to help them find and design their forever home. Tameiko not only has the knowledge to guide clients through the home buying process but she has experience with home renovations as well. Tameiko has completed a number of renovations incorporating the latest trends and features most desirable to today’s buyers and homeowners. Kirk Steffes is a sales consultant for Timberlake Homes, joining the team in August 2018. Kirk has been in the real estate industry for 20 years, 10 as one of the top sales representatives with a national home builder where he won the President’s Award for sales excellence eight out of 10 years, and where he learned the building industry from top to bottom. Kirk’s extensive knowledge in construction, finance, real estate and land development has proven to be an asset when consulting with our buyers looking to build a new home. Previous to joining Timberlake Homes, Kirk owned a sales and marketing company, sold commercial construction and practiced general real estate. Kirk, his wife, and three children live in Fallston, MD where they have settled in as a family, all are very active in sports and the community. Chris brings with him over 20 years of professional experience in the homebuilding industry. His professional background includes general contracting, project management, home renovations, and custom home construction. Chris’s extensive experience enables him to manage multiple projects while providing an outstanding product – on time and within budget. 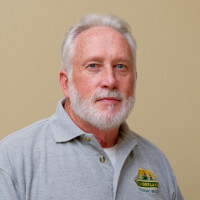 Ken has over 22 years in the home building industry. Ken very much enjoys interacting with homeowners and is great at working out creative solutions to help them customize their homes. Ken lives in Crofton Maryland with his wife and son. In his spare time, he enjoys all types of woodworking in his shop, riding motorcycles and football. MHBR#3769 MHIC#12833 | Construction-only base prices, square footage and elevations shown are representations and may vary depending on selections and options. Subject to change.